Slalom Pilot, vous donne les commandes d’un avion : éviter tous les obstacles et faites le meilleur score possible ! 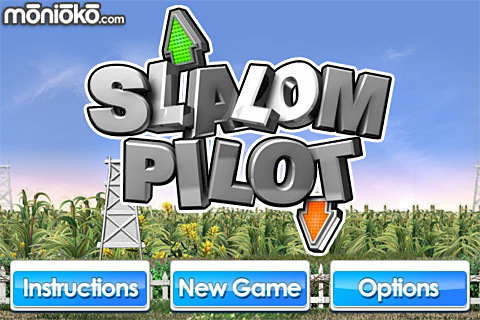 Relive the classic days of gaming with Slalom Pilot! Simple gameplay that’s easy to pickup, but hard to put down. Fly your plane against the clock, over beautiful pre-rendered 3D environments while navigating through the slalom gates to gain more time. 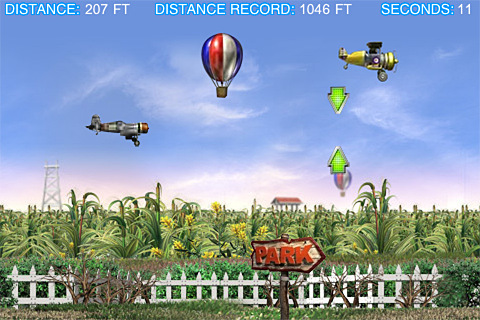 Jets, biplanes, missiles, and even UFOs will try to stop you breaking your all-time distance record. The whole screen acts as one big button, used to control how much power you give your plane. Touch the button and the plane lifts, release the button and the plane will drop. Simple, but far from easy. 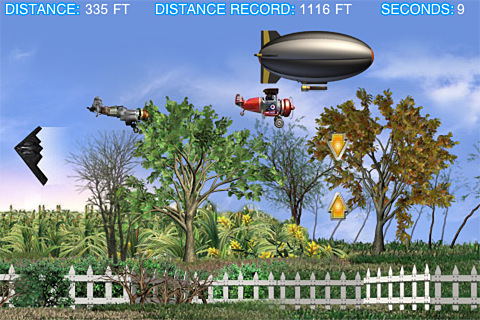 Enemies, obstacles, and gates all move at different speeds, so anticipating where the gate will be when it reaches the plane will be of the utmost importance. Try to gauge as quickly as possible the speed of the upcoming obstacles for successful navigation. TIP: For an extra fast drop to a gate that’s low to the ground, bump the plane off the top of the screen and use the rebound to your advantage. HINT: Slalom Pilot is all about anticipating what’s ahead. Listen for audio clues as to what’s just off screen, coming your way.